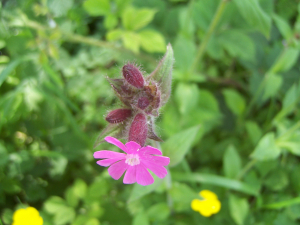 Observation - Red campion - UK and Ireland. Description: Seen in a shady place on the banks of a stream, by the roadside. A common wild flower. Seen in a shady place on the banks of a stream, by the roadside. A common wild flower.